USA Pan has been supplying bakeware that commercial bakeries and baking professionals have trusted for over 50 years. USA Pan is professional grade bakeware that is used by bakers to achieve professional grade results. 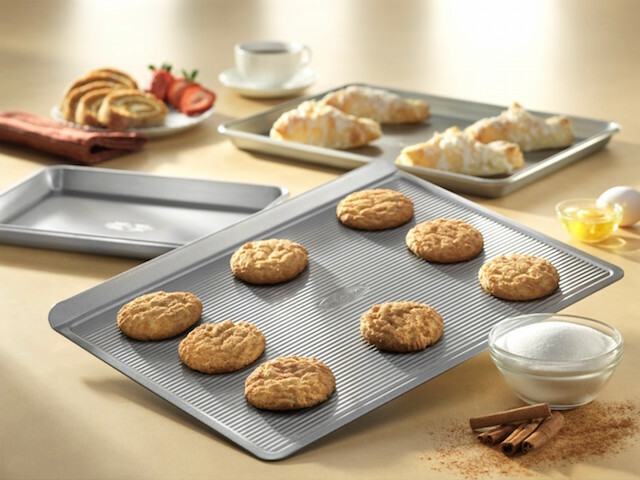 USA Pan has perfected the nonstick coating process so their customers can trust that their cookies, muffins, pies, and cakes will not be ruined by sticking to the pan. USA Pan bakeware is warp resistant, heavy-duty, and reliable.